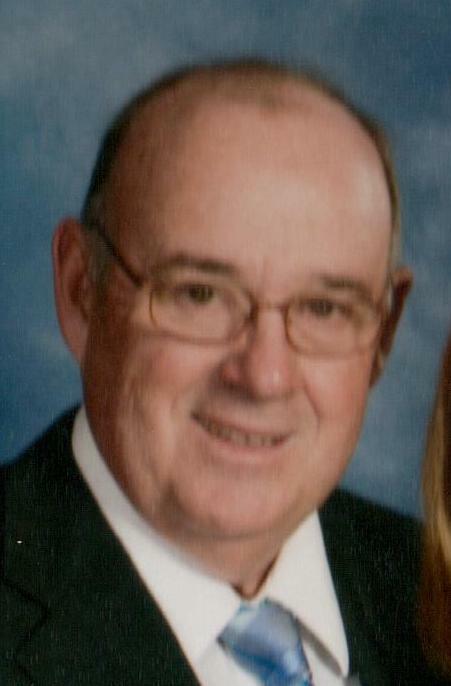 Dennis P. Rodgers, 62, of McShane Rd., Fenelton, went to be with the Lord late Wednesday evening, January 30, 2019 at West Penn Hospital with his family at his side. Dennis was born in Butler on December 26, 1956. He was the son of Patricia A. Neigh Rodgers of Fenelton and the late Paul A. Rodgers. Dennis was a proud and patriotic United States veteran and served for 22 years in the United States Air Force and the Air National Guard. Dennis was a member of St. John The Evangelist Roman Catholic Church in Fenelton and served as an usher. He enjoyed working on various veteran’s functions, visiting Civil War battlefields, woodworking, and had earned a black belt in Tae Kwon Do. Mr. Rodgers most especially enjoyed playing with his grandchildren. He was employed for more than 25 years as a Yardman with Mekis Construction in Fenelton. He is survived by his wife, Deborah J. Keith Rodgers, whom he married at St. John The Evangelist Roman Catholic Church on October 22, 1977. Also surviving are four children, Jennell M. Geibel and her husband, Wayne, of East Butler, Christopher L. Rodgers and his wife, Stefanie, of Fenelton, Erin J. Hauser and her husband, Eric, of Fairmont, WV, and Amanda L. Marzolf and her husband, Jeff, of Butler; nine grandchildren, Blayne McConnell and his wife, Lauren, Kaitlyn Geibel, Hailey Hauser, Kyle Hauser, Callie Marzolf, Sydney Rodgers, Brianna Hauser, Deacon Marzolf, and Connor Rodgers; two great grandchildren, Rhylee Beach and Brynlee McConnell; two brothers, Richard J. Rodgers and his wife, Mary Ann, of Cincinnatti, OH and Michael Timothy Rodgers and his wife, Jody, of Valencia; two sisters, Linda L. Schrecengost and her husband, Rick, of Dayton and Carol Ann Rodgers of Fenelton, as well as a number of nieces, nephews, aunts, uncles, cousins, brothers-in-law and sisters-in-law. In addition to his father, he was preceded in death by a granddaughter, Kiley Rodgers. Friends will be received at the Hile Funeral Home of Chicora, 339 Chicora Fenelton Rd., Chicora, from Noon – 2 and 4 – 6 p.m. Sunday. A Funeral Mass will be celebrated at 11:00 a.m. Monday from St. John The Evangelist Roman Catholic Church, Fenelton, with the Rev. James Kurtz, Parochial Vicar, at Saint John Church, officiating. Interment will be in the church cemetery. Military honors accorded by the Chicora, Brady's Bend, and East Brady American Legion Posts will be at the church. Memorials contributions may be made to The Leukemia and Lymphoma Society, 3 International Drive, Suite 200, Rye Brook, NY 10573, The American Heart Association at www.heart.org, or the Multiple Sclerosis Society at www.nationalmssociety.org. For additional information or to send a condolence, please visit www.hilefh.com.